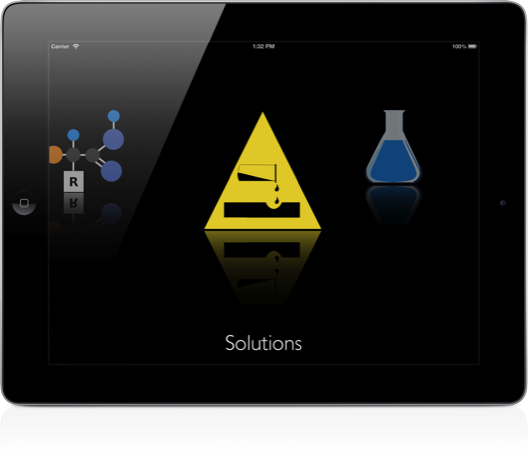 LabCalPlus is the iPAD version of LabCalPro. 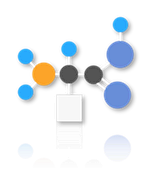 LabCalPlus has a new design and has new functions. 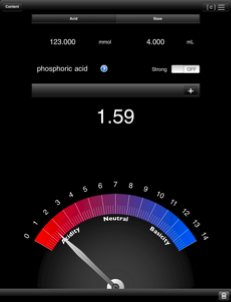 The first figure shows the main interface. 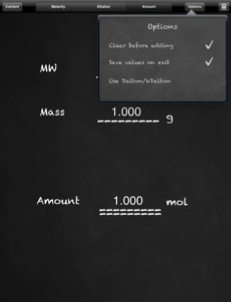 Enter the appropriate elements and the molecular weight will be calculated. 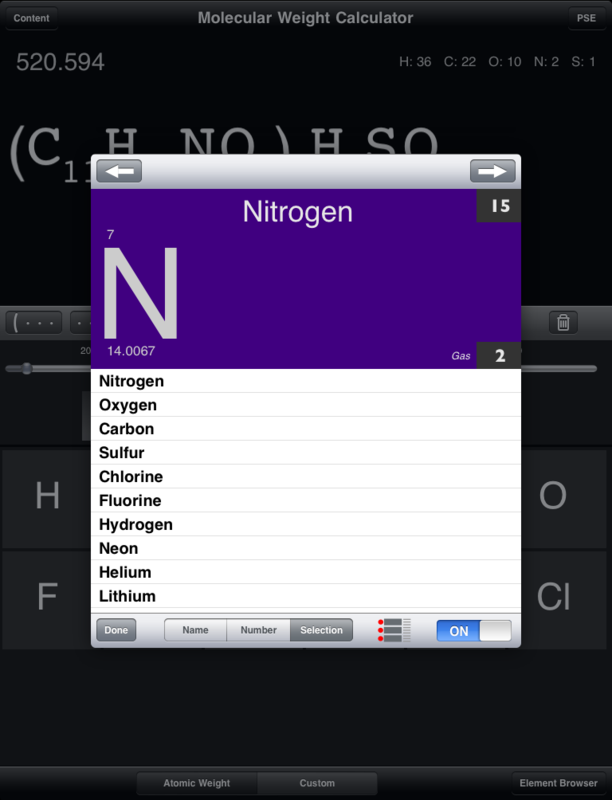 The selection of elements appearing at the bottom of the screen can be selected via an element browser (Figure 2) or using the periodic system of elements. 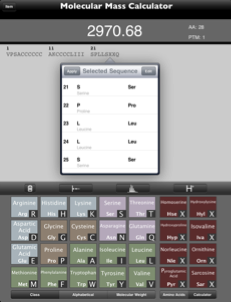 This calculator allows to enter amino acids and post-translational modifications. 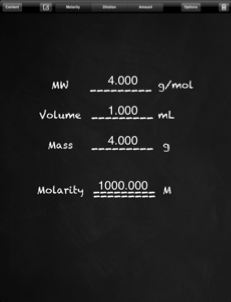 Also average and monoisotopic masses are supported. 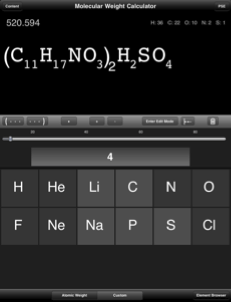 The first figure shows the properties of each amino acid. 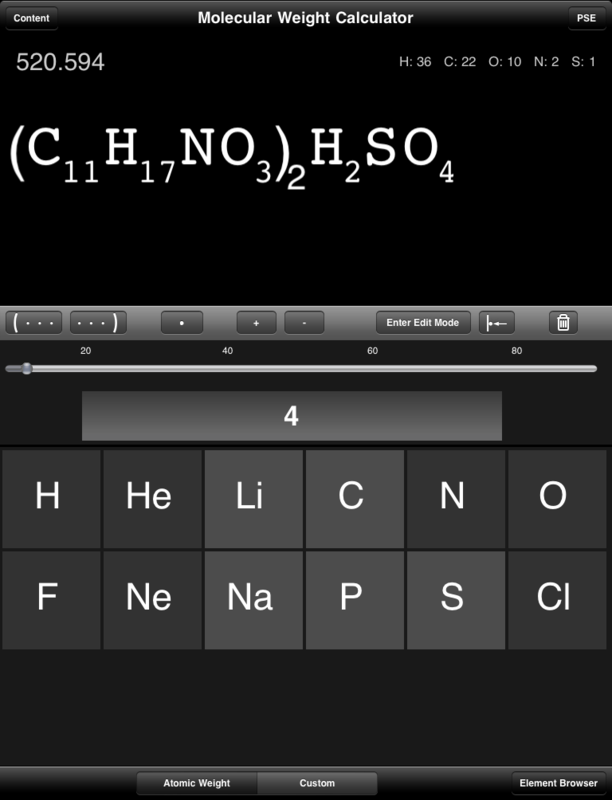 The chemical formula is animated. 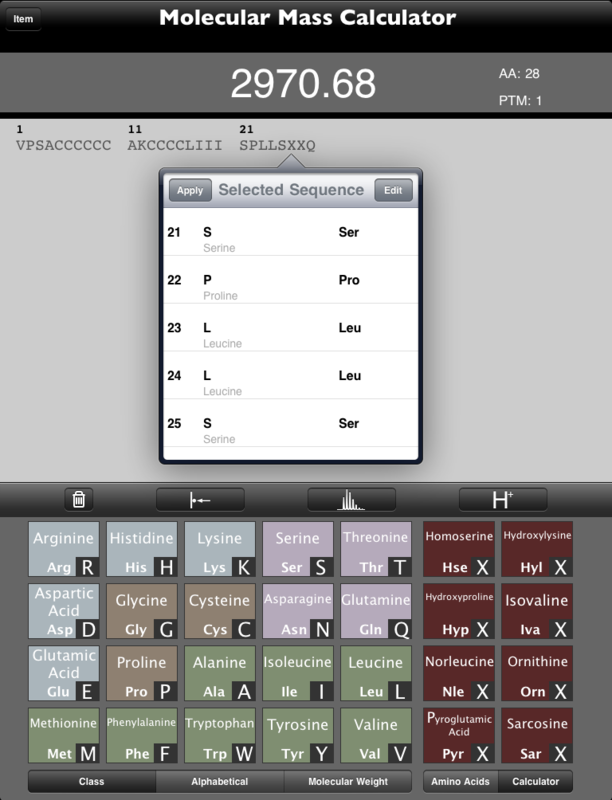 The second figure shows the mass calculation of an amino acid sequence. Post-translational modifications can also be added. 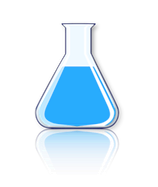 Amino acid sequences from uniprot.org can be imported. 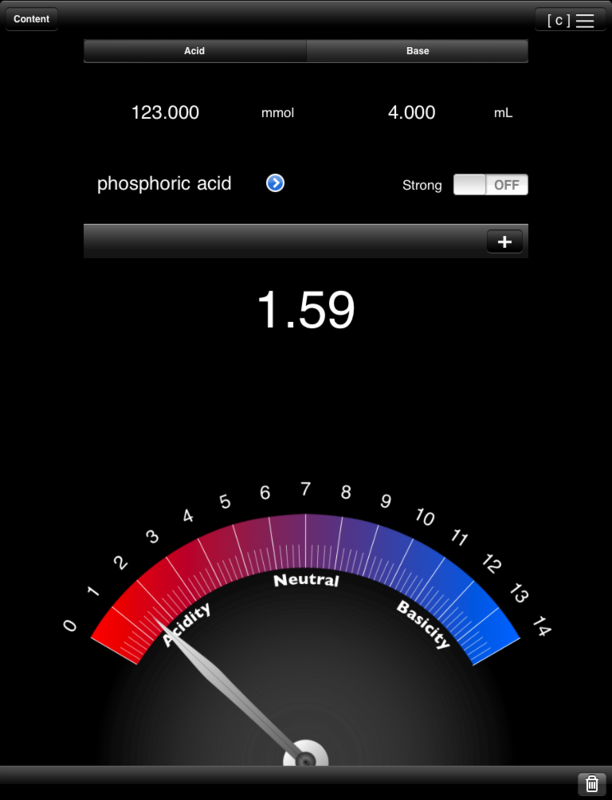 The pH calculator allows to calculate the pH of single components or the pH of a solution of acids and bases. 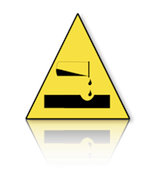 The first figure shows the pH calculation of a single component. The second figure shows the ion gap in a solution to achieve a desired pH. 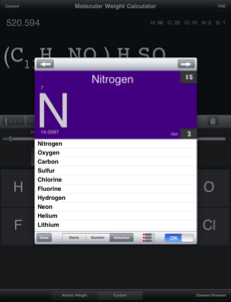 The titration curve is displayed at the bottom of the screen. 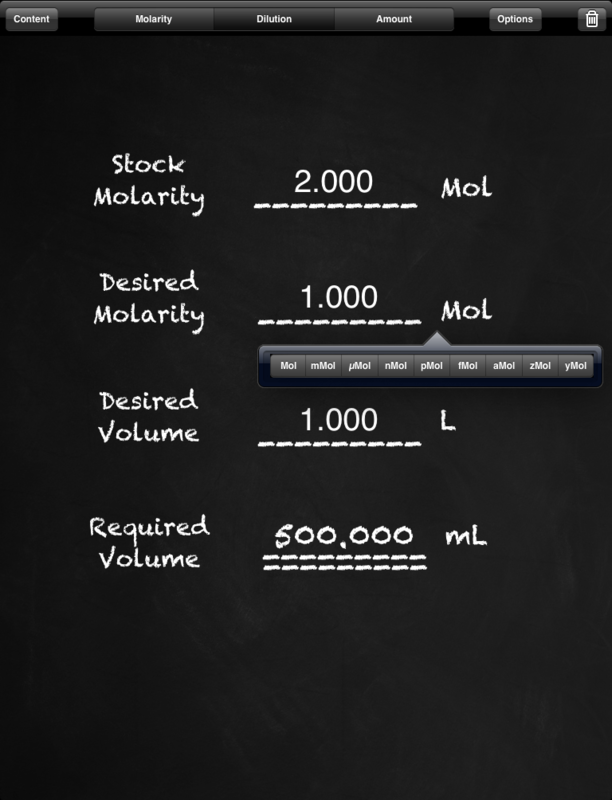 The molarity, dilution of a stock solution or the conversion between mole and mass can be calculated using the molarity calculator. 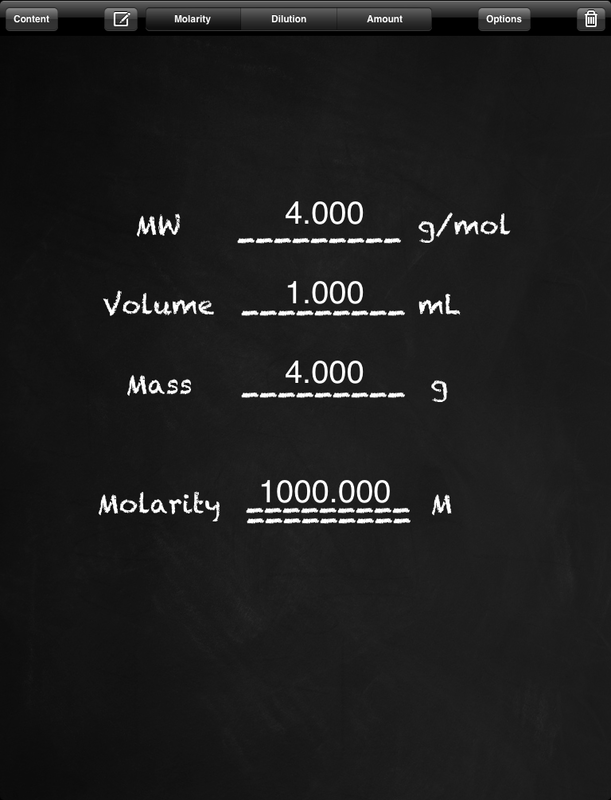 The first figure shows a molarity calculation. 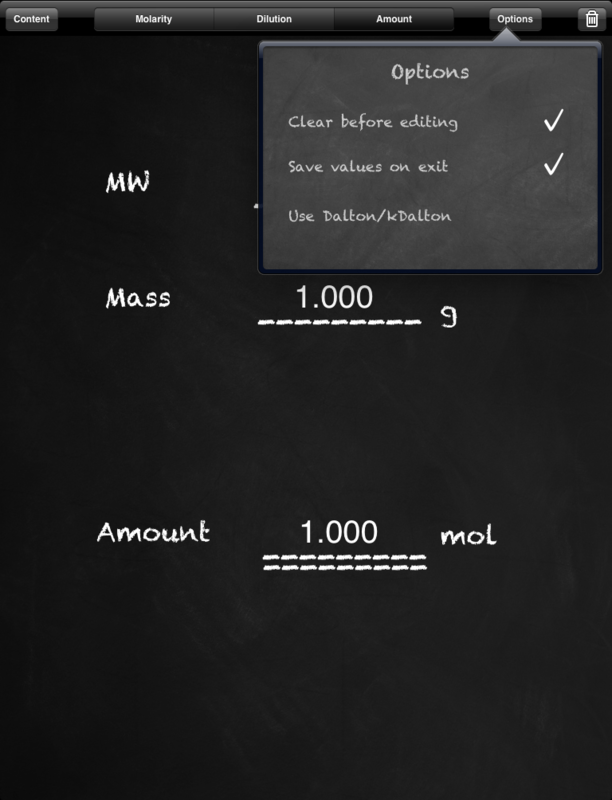 It is also possible to calculate for amount, mass or molecular weight. 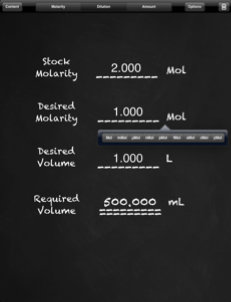 The second figure shows the calculation for dilution of a stock solution. 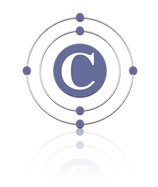 The third figure depicts the conversion between mole and mass. The screenshot also depicts the option dialog.